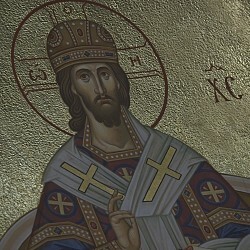 Archbishop Kyrill expressed his gratitude to His Grace Theodosy Bishop of Seattle and His Grace Irenei Bishop of Sacramento for their zealous labors in governing the Church in his absence. And, returning to his cathedra he invoked God’s blessing upon the Episcopate, the clergy and the laity of the Western American Diocese. 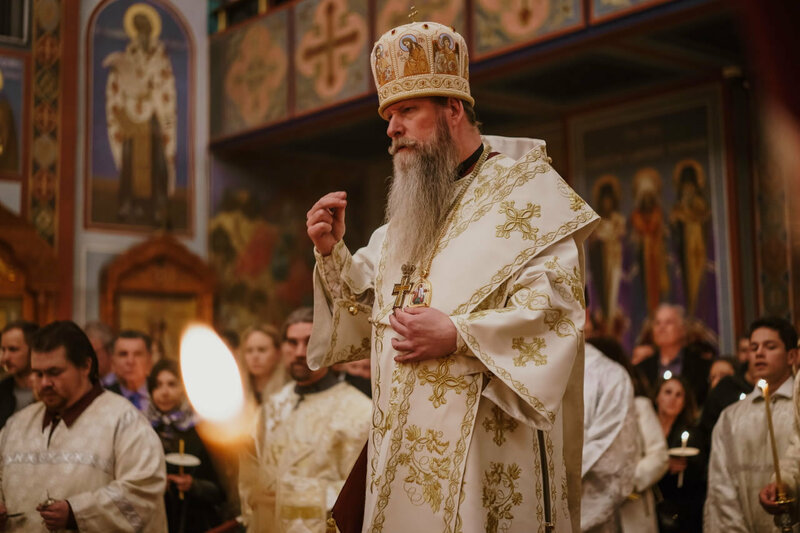 Just recently, His Eminence was participating in the meetings of the Synod of Bishops from April 26 through 29, which included the celebrations of the 10th Anniversary of Metropolitan Hilarion’s service as First-Hierarch of the Russian Church Abroad. Below is an Epistle from the Synod of Bishops of our Church. 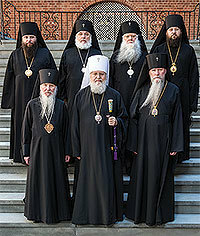 We, the members of the Synod of Bishops of the Russian Orthodox Church Outside of Russia, who carry out our ministry in North America, Europe and Australia, behold with pained soul that in the sacred territory of Kievan Rus’, our beloved land of Ukraine, treacherous political aspirations arise once again — as has happened before in history — under the guise of religious activities but with the evident purpose of inciting enmity and discord amongst the Orthodox people, with the intention of inciting a schism in the Church. Attempts are now being made to create, in this long-suffering land, a separate "autocephalous church" in place of the canonical Ukrainian Orthodox Church, recognized by all and headed by His Beatitude Metropolitan Onouphry of Kiev and All Ukraine. This Church has possessed autonomy since 1990 — that is to say, self-governance and independence in its administration. Before us at present is nothing other than a crafty effort to seize upon religious sentiments and subordinate them to the political goals of today’s authorities, directly contradicting the tradition and canonical norms of the Holy Orthodox Church.